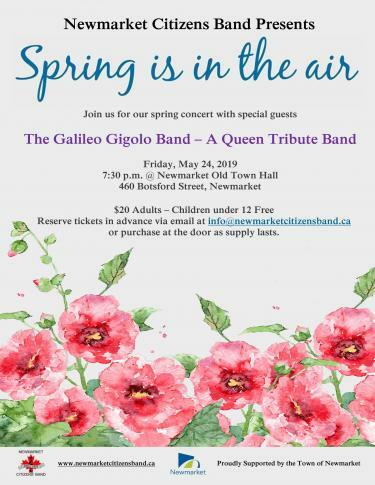 Join the Newmarket Citizens Band in waving goodbye to the winter blues and welcoming the arrival of spring at their upcoming concert with special guests, The Galileo Gigolo Band – A Queen Tribute Band. “Spring is in the Air” will take place: Friday, May 24th, 7:30 p.m. at Old Town Hall (460 Botsford St, Newmarket). 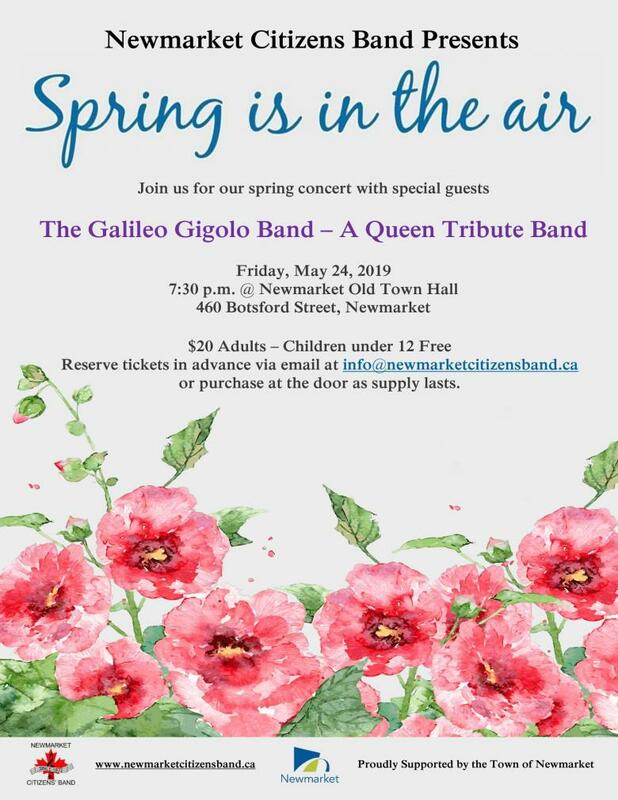 $20 Adults – Children under 12 Free – Reserve tickets in advance via email at info@newmarketcitizensband.ca or purchase at the door as supply lasts.